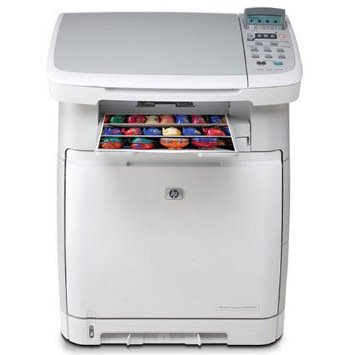 Whether you’re working at home or in a small office, the HP Color LaserJet CM1015 printer is just right for your needs. It’s got an 8 ppm print speed (pages per minute), rapid start-up, and a total media capacity of up to 500 sheets of paper. Whether you’re working on an art project at home or an important report at work, this printer will get you the results you need. You can always depend on this printer, but finding affordable toner for HP Color LaserJet CM1015 printers isn’t always easy. You could buy original equipment manufacturer (OEM) cartridges, which are known for producing great work – but can you afford OEM prices? For consumers who need affordable HP cartridges that still produce quality work, there’s 1ink.com. We offer remanufactured toner cartridges for an unbeatably low price. Our replacement HP 124A toner cartridges are easy to install in your printer and are guaranteed to give you the same print performance you’re accustomed to. Trust 1ink.com’s quality, selection, and service to help you get affordable, professional-quality print work.